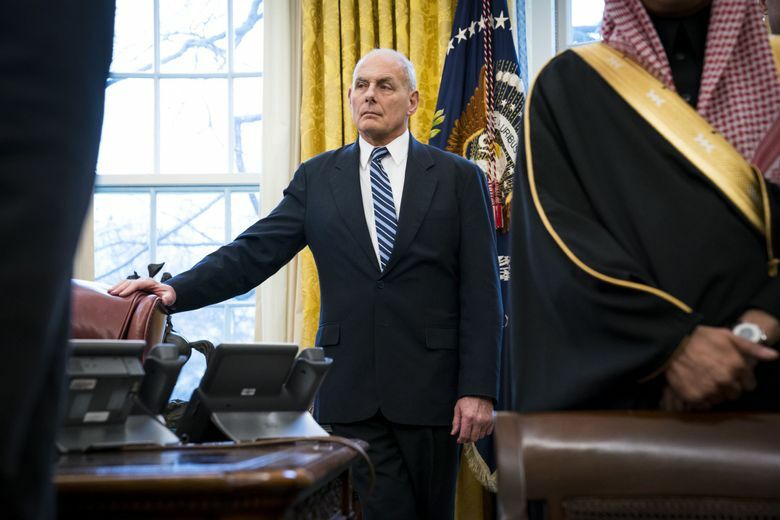 The retired four-star general and former Homeland Security director tried to bring order to the White House, but he and the president are said to have grown weary of one other in recent weeks. John Kelly, the White House chief of staff, is likely to leave his post in the next few days, ending a tumultuous 16-month tenure still among the longest for a senior aide to President Donald Trump, two people with direct knowledge of the developments said Friday. Kelly and Trump have grown weary of each other. But Trump, according to several senior administration officials and people close to him, has so far been unable to bring himself to personally fire a retired four-star general. Still, both are said to be ready for Kelly to move on. It is unclear who the replacement would be. Nick Ayers, the vice president’s chief of staff, is seen as a leading candidate. He is supported by Jared Kushner and Ivanka Trump, the president’s son-in-law and daughter, who both serve as senior West Wing advisers and who, according to several officials, are trying to expand their influence internally and in the re-election campaign. The White House senior staff meeting Friday morning was canceled, according to three officials. But there is a holiday senior staff dinner scheduled for Friday night and people said they expected Kelly to be there.